Belgium on Friday commemorated the third anniversary of the deadliest terrorist attacks in its history, paying tribute to the victims. And a documentary, Tous Ensemble (All Together), following the lives of four victims of the tragedy, was projected on this special day, drawing more than 300 people to the preview. A pregnant Christelle Giovannetti, a victim of the of Mar 22, 2016 suicide bombings and one of the leading figures of the documentary, was in the audience. "I've been to every commemoration throughout the three years. People are gathering together and it is energy to get out of the suffering. Life is just going on and we now have a baby, so life is stronger," she said. Fionn Perry, a filmmaker who also narrowly escaped the attacks, shot the documentary to relieve the suffering and loneliness of relatives and survivors. It took him nearly three years to profile the post-disaster lives of four victims. Two survived the two explosions at Zaventem airport and two were near the explosion at Maelbeek metro station. "We wanted to make a documentary where they could express themselves and it really has a positive angle. So it's not like tragedy or showing bad images, scaring images. We want the victims to come out happy," he said. Besides the screening, commemorative activities took place throughout Brussels. 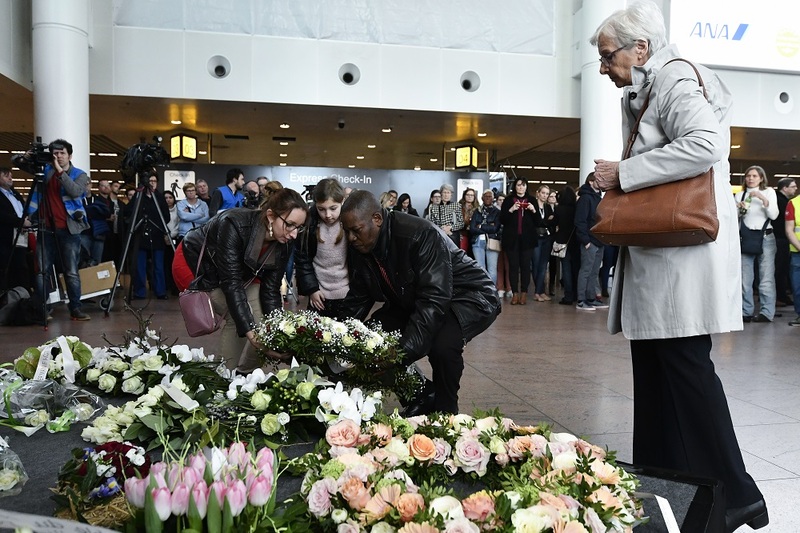 A memorial wall with written messages left by citizens in the aftermath of the attack was unveiled at the Maelbeek metro station, while a commemoration with a minute of silence was held at Zaventem airport. The famed Manneken-Pis statue was dressed as a firefighter in memory of the rescuers in the attacks. On Mar 22, 2016, three explosions struck Brussels, two at the Zaventem international airport and one at Maelbeek metro station in the city center. Thirty-two bystanders were killed, along with three perpetrators. More than 300 were injured. Before the attacks, Belgian legislators considered counterterrorism as one of the top priorities. In 2015, 30 measures were announced to fight terrorism, modifying the Belgian Criminal Code and Belgian Criminal Procedure. The 2016 catastrophe prompted both Belgium and the European Union to carry out more approaches. The EU has launched stricter control of firearm acquisition and possession. Checks on people's movements were stepped up, the interoperability of the EU member states' databases was improved, and behaviors facilitating terrorist activities were explicitly stipulated in EU's legal framework. 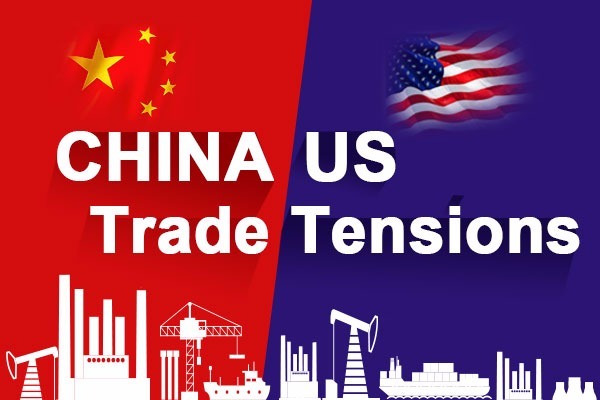 Greater importance has also been attached to counterterrorism institutions with the establishment of Europol's European Counter Terrorism Centre, the European Border and Coast Guard Agency, and the Radicalization Awareness Network Centre of Excellence. And recently, the Belgian intelligence services announced the intention to set up a joint platform to tackle terrorism dossiers. However, the challenges remain. According to the European Union Terrorism Situation and Trend Report 2018, published by Europol, a total of 205 foiled, failed and completed terrorist attacks were reported by nine EU member states in 2017 alone. That is a reversal of the downward trend that had started in 2014; there was a 45 percent increase in the number of attacks compared to 2016. Julian King, European Union Commissioner for the Security Union, believes that security should be reinforced around European Parliament elections to be held March 23-26. "We have strengthened our resilience against terrorism and cyber-threats. But the threats remain, and continue to evolve. And we need to keep working," he said. Chen Wenxin and Dong Yuwen contributed to this story.